“I love you more than Italian Pizza,” is how I’ve signed my letters, postcards and parcels to my three beautiful young nieces back in Canada for the last three years. Around my sisters dinner table there is constant children chatter – its blissful. We played many games sitting around a rump steak or an eggplant parmesan, the two favorites are: How Much Do You Love Me and Desert Island? My nieces learn fast, they know by now that if Aunt Jenny is stranded on a desert island with only one food available, that I would choose pizza. First and foremost the crust or pasta must be thin. And it must be cooked well to avoid the dreaded triangle dip when bringing pizza to mouth. After the crust comes the sauce. Just enough to cover the pasta is best, too much and the pasta will get soggy. Toppings, I prefer simple ingredients. 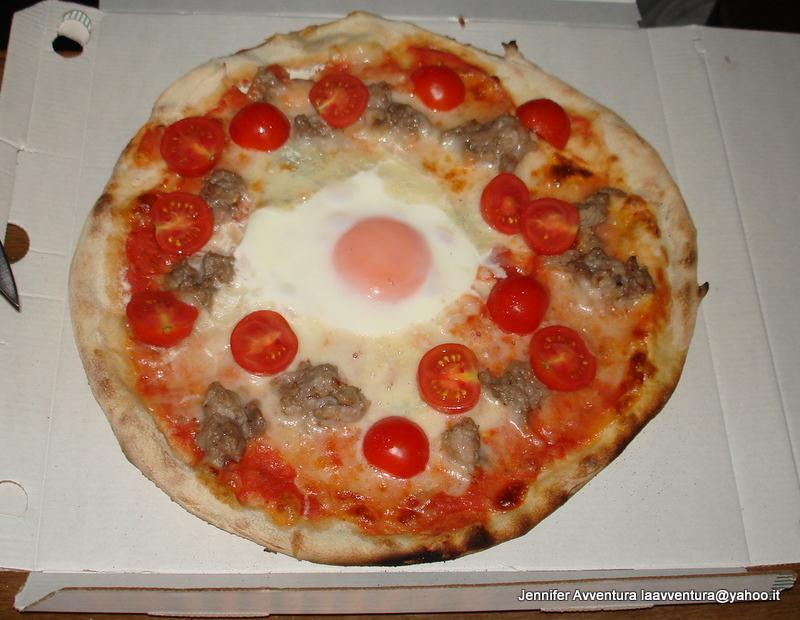 My favorite pizza is the Sarda – pomodoro, mozzarella, salsiccia and cipolla (tomato sauce, mozzarella cheese, pepperoni and onions.) It’s simple, it’s easy, and it’s simply mouth-watering. The following pizza is a huge hit with all the kids in town. I was really shocked to see this made into a pizza. I’m not a fan, nor were my nieces when they came to visit last summer. But the Sardinian kids go wild for it. Pizza parties in Sardegna are a big event, whether they are held in a restaurant or someones home there is enough pizza to go round. It goes without saying that the Italians love their pizza and in these photos you will see one serving. Yes, these pizza’s will and do feed one person. An entire pizza for yourself to discover and enjoy. Hub likes to experiment with his pizza. He’s eaten every pizza imaginable: Horse pizza, tuna-fish pizza, eggplant pizza, sea urchin pizza, salt pizza and the strangest imaginable pizza is The Andros. The Andros Pizza – pomodoro (tomato sauce), gorgonzola, salsiccia fresca (fresh sausage), pomodorini (baby tomatoes.) However, Hub was experimenting this night and added an over-easy egg. One thing has remained clear for centuries: The Italians know how to do brilliant pizza. My love affair with pizza will never end. Nor will my growing love for my nieces. Thank you beautiful star for reading and commenting on my article about you and your sisters. Very cool pizzas! I feel more cultured already! 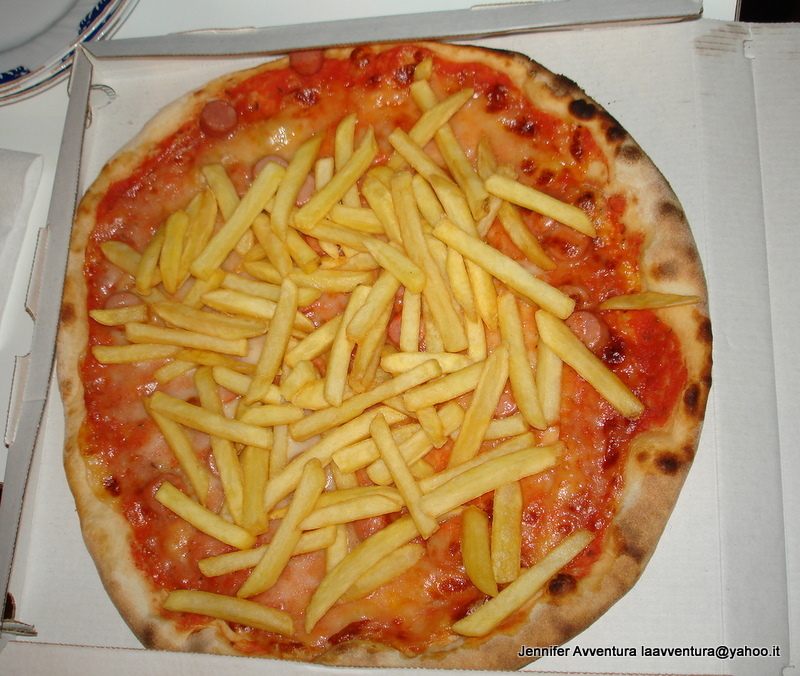 I’m not sure I could deal with french fries on a pizza! But then I have mushrooms and pineapple on mine! My mouth is watering. But I agree with you, simple is better. Why mess with a good thing? My mom used to tell me that she loved me more than chocolate. I think it’s adorable that you sign your postcards that way. I hope your nieces always remember it. Thank you for the wonderful comment. Slurp. The over-easy egg looks so good! I have discovered it. And I have fallen in love. But then again? I just am in it for the sauce and crust!!!!! I know what’s for dinner tonight. ok. Ill get on that. 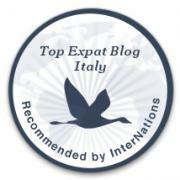 But with the postal strike in Canada, and the unreliable service of the Italian postal system it may arrive with fuzzy green spots, is that ok?